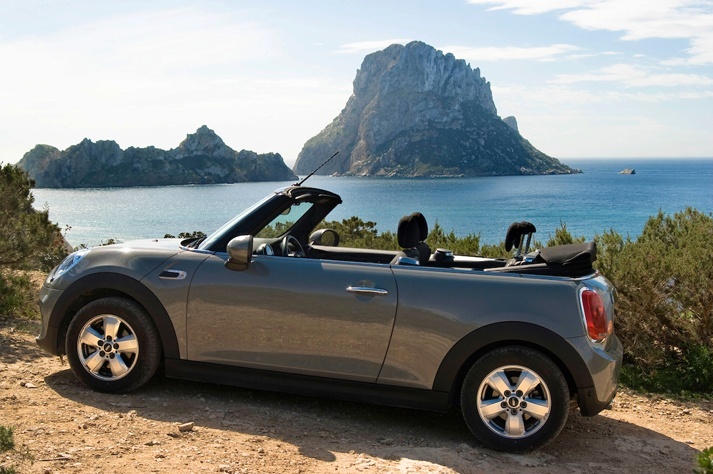 At Moto Luis we believe that Ibiza summers should be enjoyed to the max by driving a convertible. If you also believe this and you are mad about the Mini cabriolet, do not hesitate and book yours at the best price through our website. 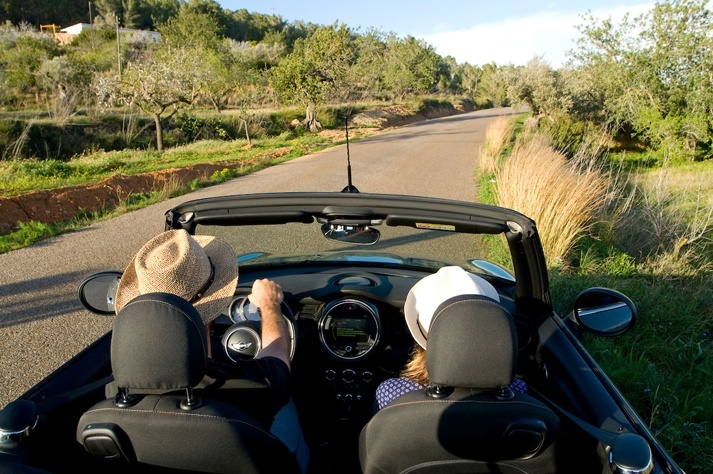 If you want to make the most of your rented convertible Mini Cooper in Ibiza, don’t miss our selection of ideal roads for convertibles. At Moto Luis we have various convertible car models available to rent at a great price. Amongst them is the Mini Cooper cabriolet which is one of our client’s favourites, especially amongst the ladies. Its hood is very easy to open and close, in just 20 seconds you will have it in the position of your choice. If you still have not driven this model, don’t forget that opening and closing the hood must always be done with the vehicle stopped or at a maximum speed of 30 km/hour. It’s an easy car to park due to its size, easy to drive and with a maximum capacity of up to 4 people. Its easy open/close hood system allows you to forget about the weather forecast and enable you to decide when to let your hair blow in the wind. You will be able to drive in automatic mode and enjoy strolling along all the different roads, sightseeing the beautiful landscapes while taking in all the aromas from the pine trees and marine breeze. You can book your convertible Mini directly from our website, or by sending an e-mail to info@motoluis.com or a WhatsApp to +34 672 077 500 or our main office in San Antonio: +34 971 340 521 and +34 971 340 765. 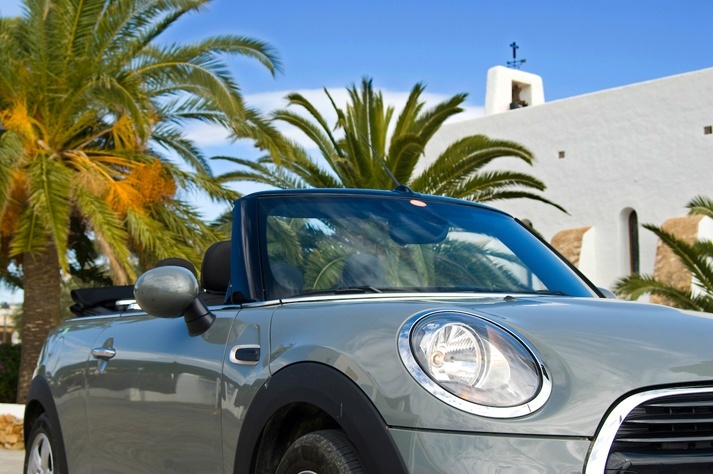 Discover more recommendations on our blog to make the most of your Ibiza holiday in a convertible. 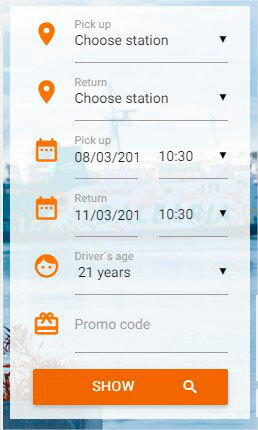 This entry was posted in Car Rental and tagged Car Rental, convertible. Bookmark the permalink.